Stafff were all very friendly and the views were beautiful . Quiet peaceful location. Très bien situé, vue magnifique sur la baie, proximité de la mer 15 mn à pied. Gentillesse de Maria et du personnel Nous devions quitter l’hôtel à 7 h, la veille Maria nous a préparé des sandwichs et des fruits. Prachtige locatie, rustige ligging. Ruime en nette kamer met een héél goed bed. Heel gastvrij en vriendelijk personeel, zeer gemoedelijke sfeer. Het eten was heerlijk en naar onze mening zeker voldoende keuze. Proper zwembad en voldoende ligstoelen. Lekkere cocktails aan de bar. Goede locatie om van daaruit Kreta te verkennen. Toll war, dass die Unterkunft etwas abgelegen vom Massentourismus an einem Berghang lag. Das ermöglichte eine tollen Blick ins Tal auf die Bucht und auf den Hauseigenen Pool. Wir hatten die obererste Unterkunft und durften täglich mehrfach 122 Stufen überwinden, was zur täglichen Fitness bei dem tollen Frühstück und Abendessen beitrug. :) Das Essen wir von Maria der Besitzerin persönlich zubereitet und schmeckt fantastisch. Durch die große Auswahl ist immer für jeden etwas dabei. Die Besitzerin und die gesamte Mannschaft sind sehr freundlich und es ist sehr familiär. Also wir fanden die Unterkunft, die nahe Lage zu den Geschäften und den guten Startpunkt zu vielen Ausflugsmöglichkeiten toll und würden es jederzeit wieder buchen. E in Auto ist in Kreta aber wie überall auf der Insel sehr Pflicht, wenn man viel sehen möchte. Zu empfehlen z.B. die Dschungellandschaft und der Wasserfall "Richtis" 87 km östlich in einem engen Seitental. Spektakulärer als z.B. Vai. L'emplacement en hauteur de l'hôtel, qui isole de la ville et de la route. La piscine, l'appartement propre et fonctionnel, la cuisine faite par Marie, très bonne et grec. La gentillesse des filles de Maria et du Barman, Bruna, Maria. l'espace jeux pour les enfants. Établissement familial qui incite à la convivialité entre clients. Lock in a great price for Bella Vista Apartments Stalis – rated 9 by recent guests! Bella Vista Apartments are located on a hillside just above Stalis, 19 mi from the airport of Heraklion in Crete. 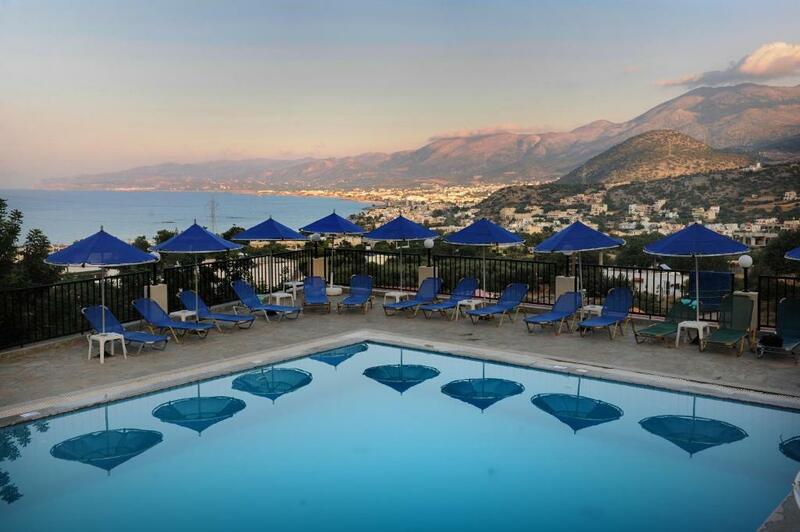 All apartments have a view of the Cretan Sea, as well as the mountains. The apartments are spacious, tastefully furnished and fully-equipped with large modern kitchen fittings and facilities. Air conditioning and safety boxed are available upon charge. Built in a traditional Cretan style of bungalows, the apartments are constructed in terraces so that the roof of one apartment is the veranda of the other, with balconies at the front and back. They are all surrounded by beautiful gardens with trees and flowers. On the beach, guests can try water sports or enjoy the many taverns, shops and bars in the village of Stalis. Guests can also enjoy the intense nightlife in Stalis and the tourist centers of Chersonissos and Malia. The famous archaeological sites at Knossos, Faistos and Malia, where one of the most ancient civilizations developed, 6000 years ago, are also recommended. When would you like to stay at Bella Vista Apartments Stalis? Spacious, renovated apartment with separate bedroom, kitchen, living room and fully equipped bathroom. It has a balcony with views over the sea and the mountain. The apartment is accessible via a few steps. Spacious apartment with separate bedroom, kitchen, living room and fully equipped bathroom. 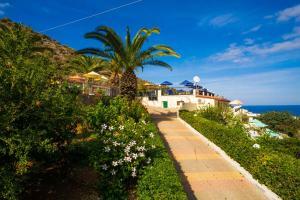 It has a balcony with views over the sea and the area of Stalida. Renovated apartment accessible via some steps. 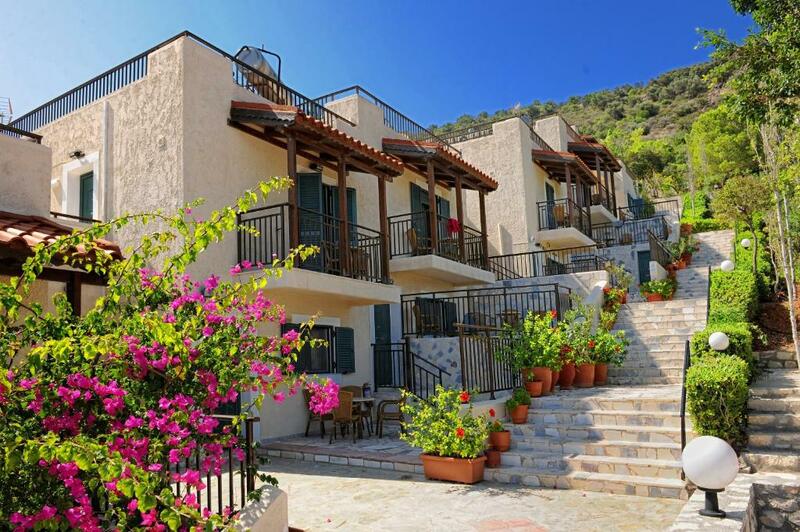 Offers terrace or balcony with views of the sea and the mountain. Renovated apartment with a terrace or balcony facing the sea and the mountain. Our Hotel is one from the most organized groups of furnished apartments, in Crete. 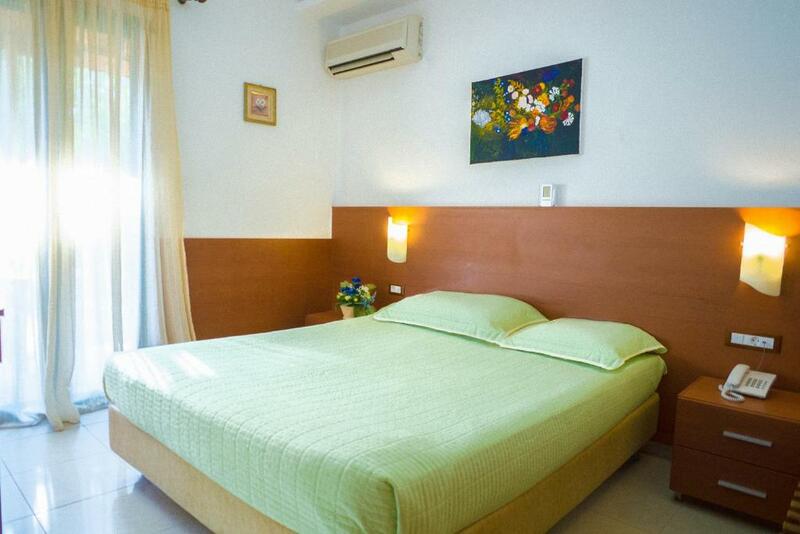 It has recently been fully comfortable renovated, equipped with all European standards. House Rules Bella Vista Apartments Stalis takes special requests – add in the next step! Bella Vista Apartments Stalis accepts these cards and reserves the right to temporarily hold an amount prior to arrival. Please note that air conditioning is available at an extra charge of 6 EUR per day. Please note that safe box is available at an extra charge of 3 EUR per day. Booked a high floor as this is what I always do when booking accommodation but deemed a little adventures as there were a lot of steps to climb to our apartment, but in fairness that's what I asked for. As we were in the very top apartment there were a lot of steps which were hard work in the heat but worth it for the view and stopped us putting on too much weight ! Arrived late at night - would have been nice to be provided with some water in the apartment . Providing a cloth and a tea towel would have really helped - but so many places just don't provide these basic things - remember to take your own ! booking.com made an error and hence the booking of 2 adults + 2 children was actually booked as 2 adults only. Very personal and welcoming staff.